When I started writing this review I had a bad case of the "poor me's". I just crashed my truck, 2011 was financially a pretty bad year for my building company and I went on and on. But....I began listening to the music on my Top Ten list and my mood suddenly changed. My blessings just poured forth. I was in fairly good health., I have a good marriage and a solid home and I was blessed with a new, healthy grandson. Not a bad year. Not a bad year at all. 2011 was an extraordinary year for some great music as well. There were many old friends, musically speaking, on the list and some new ones as well. Moreover, all these albums are, for many of us, blessings in disguise. Ah, the power of music. In 2012, a most mysterious and hopefully, amazing year, I bid you peace. 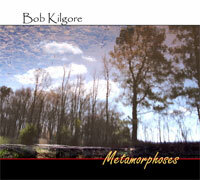 Contemporary guitarist Bob Kilgore offered his 14 track album Metamorphoses that proved unequivocally that changes are here and should be embraced and taken as opportunities in life. The album never failed to surprise and entertain and the production values were through the roof. From the opening track, Prelude to the finale, Mr. Dithers, Bob gifted the listener with great compositions and remarkable fretwork. The mini-suite, Metamorphoses 1,2, & 3 took me on an emotional journey from pensive to light-heartedness and to longing for changes in my life. We can all take an example from Mr. Dithers. Mathew Schoening is another musician that believes in change and he wants to bring it about via his electric cello. Schoening takes the building blocks of life, Air, Water, Fire, Earth and Spirit (all of these are track titles) and the quintessential component, music to create an astounding amalgam of tracks that satisfy the listener on every level. The album was recorded live, which is amazing giving the continuity of the music, but the audience is barely perceptible. The mellow cello is forefront with power and grace. If you liked anything by Michael Hedges or David Darling, you will like Mathew Schoening's album, Elements. 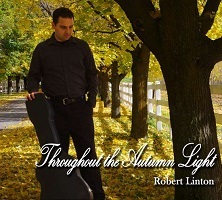 You would think that Robert Linton's album, Throughout the Autumn Light would be seasonal, but it is everything but that. I listened to it during summer to review it and it is a welcome companion in these winter months. Linton's acoustical guitar and innate talent unite to offer ten tracks of contemporary bliss. Audio quality and production are first rate courtesy of Imaginary Road Studios and Windham Hills Records' founder Will Ackerman. Linton's work offers a unique musical sound stage of rare, captured moments of clear days, colorful, leafy canopies and the beauty that is generated when all is right in the world. This is musing music of the finest kind. 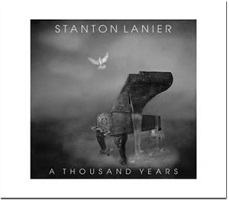 It is no surprise to me that Stanton Lanier made my top ten for the second time. His latest work A Thousand Years delved flawlessly into the realm of faith and beauty. His contemporary piano and ensemble instrumental songs had influences of not only classical music, but also modern century hymns. The winning combination soothes body and soul alike. No matter what name you give God, the 12 sumptuous tracks are a celebration of life and a tribute to the faith. This album may qualify for "soaking music" on a Neo-symphonic scale. For many 2012 will be a year of change, positive, negative or unknown. I learned this when I did research for Bill Wren and Frank Ralls' recording Journey Around the Sun: A Mayan Odyssey.. For me this album is the breakthrough, album of the year, mark it with a bullet opus of 2011. The album is centered around predictions from the Mayan calendar as well as ancient places that figure largely in Mayan history. Although this all sounds esoteric, it actually becomes an oneiric travel of the mind. The brilliant guitar by Wren and the delightful piano by Ralls make the adventure fun and memorable. This album would be a standout in any collection. 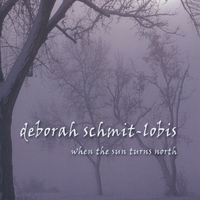 Deborah Schmitt Lobis has created the perfect example of winter music and When the Suns Turns North is the definitive album. Part holiday music (although lightly mixed in) and clear, cool compositions performed by talented people including saxophonist Doug Carmichel showcase the cold and beauty of the earth�s sleepiest season, but with an assurance of the spring to come. The cheery and pensive tunes are performed on piano, tenor sax, violin, oboe, and English horn, and yes, didgeridoo. Because of this wonderful album I have decided to tolerate didgeridoo for the time being. Great for playing any time. 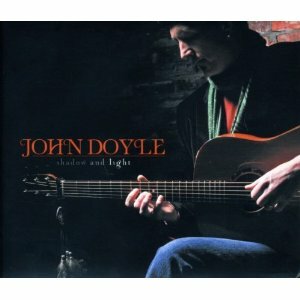 If you want the penultimate example of fine Irish traditional music with a modern flair, then look no further than to John Doyle and his latest recording Shadow and Light. I once saw John Doyle play in nearby Knoxville and it was a night to remember. His guitar skills are first rate and his singing and storytelling are wondrous. No matter which side of the pond you are on, Doyle has a sterling reputation and is a trendsetter not only as a singer/songwriter, but as a leader in the industry. Shadow and Light has songs of sea travel, myths and anecdotal stories that never fail to delight. This album is the best in Irish music. 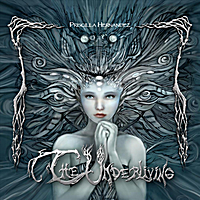 From sunny Spain comes Priscilla Hernandez and her mesmerizing Goth/Dark/New Age album The Underliving. This is not just a musical recording, it is a full blown presentation of great music, terrific lyrics and wonderful artwork all rolled up in one package with a 52 page booklet and internet link to bonus material. Priscilla's fantasy artwork is only second to her incredible imagination and song writing. Her music is not quite Celtic, but similar in feeling and structure. It carries a sometimes unforgettable dark sense of beauty all its own. In two years, this young artist has accomplished what would be for some, a lifetime achievement on one recording. 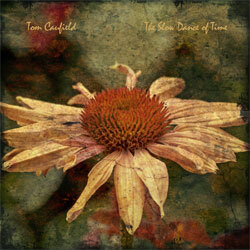 If clean, precise solo work on Spanish guitar is your desire than Tom Caufield will fill the bill quite well. His album The Slow Dance of Time is a nostalgic foray into what made solo guitar a genre unto itself. Think Ackerman, de Grassi, or Speer. Caufield has rendered nine tracks of joyous fretwork and brilliant compositions. There is a level of emotional clarity in his music that is a rare find. The songs offer a glimpse into the continuing transition between classical and contemporary music in a way that is pleasing not only to the ears, but the heart. 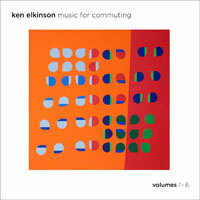 The flagging genre of ambient music has taken a turn for the better with the coming of Ken Elkinson's latest work Music for Commuting. My version was the 3- disc set of sixty tracks, but I am told there are other versions. If you have ever taken a week of your life and analyzed it on a day to day basis in minute scrutiny, then the sound track for that investigation is right here. Everything from the sun coming up on Monday morning to the cold, starry light of Friday's midnight and beyond are addressed in the music. This recording is deep, intricate, flowing music that opens the pores of the spirit. Music for Commuting is an epic work by a man with more than a vivid imagination and a talent for musical equilibrium between body and spirit. If you want to own this decade�s definitive album of ambient/contemporary music, then this is it. 2012 can only mean a better year for the music that we love. No matter how many terrific albums are released with their positive messages of beauty, love and spirit each year, somehow it never seems enough.